Omerta Game Ltd, a leading independent online games developer and publisher, is today excited to announce the launch of Version 4.8 of perennially popular free-to-play browser-based Mafia MMORPG, Omerta. 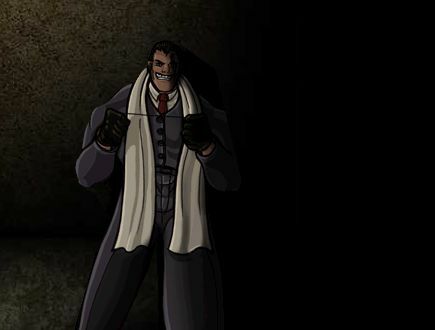 Created in 2003 by a solo indie developer coding in his bedroom in Groningen, The Netherlands, Omerta’s remarkable growth, consistency and pioneering stance on the free-to-play business model mean it can rightfully claim to be the ‘Godfather of all Mafia games’. Today, Omerta has established itself as one of the most iconic faces of browser-based gaming and the go-to destination for budding Mafiosi, boasting more than 4.8 million unique registrations and tens of thousands of active daily users. Available now, the latest round of the international version of Omerta marks a new beginning for the MMORPG. Version 4.8 comes after an unprecedented, game-changing war that saw a faction of meticulously organised Serbian families – lead by the fearless Kurosawa family – take surprise control of Omerta’s 1930’s-inspired mafia streets. The shake up is so severe that, for the first time in years, many of Omerta’s longest-established factions and most dedicated players have been left reeling on the sidelines. Mighty Party is getting ready for Christmas with a huge update that's coming soon! A beautiful holiday setting and wonderful gifts await.